A crazy last couple of days with all the snow. 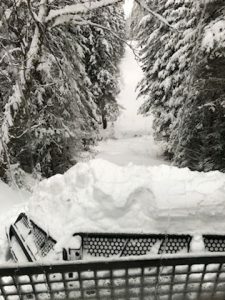 We received over 12″ on our trail system. We have a great base, with all the warm weather we had last week. The trails are in great shape for our upcoming rally in 2 weekends. 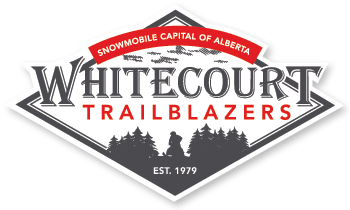 All trails have been groomed at least 1-2 times. They will be groomed and ready for the rally. Happy sledding everyone. bypass has not been done. We have received fresh snow this past weekend giving us snow levels from 12″-18″ on the trails. 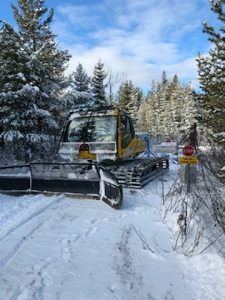 Snowcats are out working on the trails and will also be grooming this week. Lots of untouched areas out there and we are excited to begin the season. 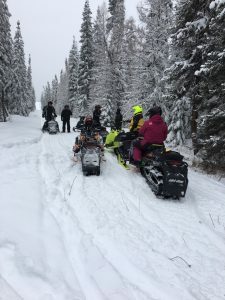 Don’t forget to purchase an ASA Trail Pass or Day Pass if you are going out on the trails, it helps to support our trail maintenance and grooming programs. By purchasing a sled raffle ticket, you also help support those programs. 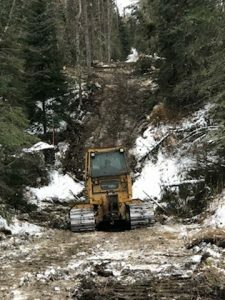 Trail Cleaning: We are diligently working on cleaning many trees that are down, in addition to the overwhelming amount of debris that remains on the trails. 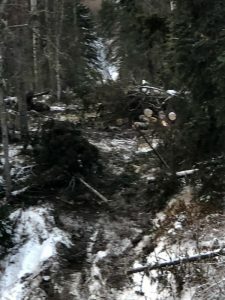 This past summer, we have an excessive amount of trees and debris down due to all the blowdown from the summer storms we had. 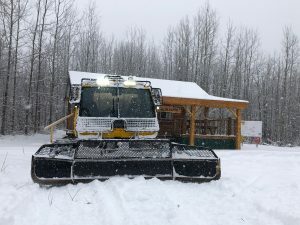 Unfortunately, grooming will not begin until we get the trails cleaned.